Hard rock track that gives a powerful but ominous feel. Rock track with a sincere-sounding lead guitar and a bouncy beat. Very Anthemic. Orchestral/Rock Hybrid that begins with a power guitar sting and continues to build tension and energy. Works well for a fierce, his is personalcompetition. Orchestral/Rock Hybrid with an immediate explosion into a powerful epic sounding, battle soundtrack. Orchestral/Rock Hybrid that suits a work-out or finals competition with high energy, a build up in the middle, and a strong stinging ending. 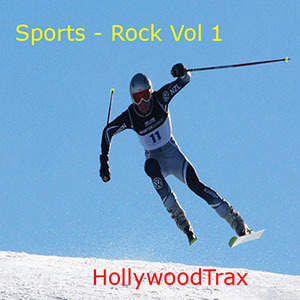 Medium rock track with a little edge, nice groove with some attitude. The team goes out to drink and party after the big game. Hard Hitting Action Rock Track. Facing the enemy.